Please join us in a come and go event to celebrate the talented students of Garland ISD. 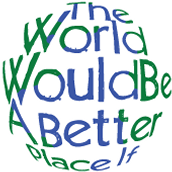 Students in all grade levels will be showcasing their interpretation of the theme, "The world would be a better place if..." in six different categories: dance choreography, film production, literature, musical composition, photography, and visual arts. Attendees will have the opportunity to view some of the entries in electronic format. Everyone is welcome to stop by and show their support for arts! The event will take place at the Conference Center Ballroom of the Curtis Culwell Center.